THE Gympie Music Muster spirit was well and truly alive on Saturday afternoon, with some of the festival's biggest legends on hand at the Verandah Bar to celebrate the 2018 Partner Thank You Function. 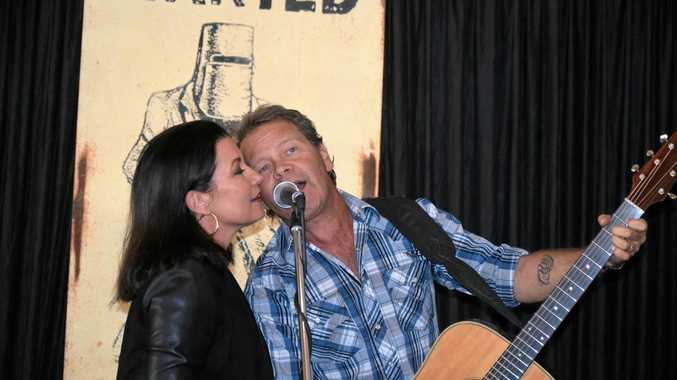 Muster Ambassador and Headliner Troy Cassar-Daley featured among the speakers and performed two songs at the event, getting wife Laurel to lend her vocals and help tell the story of how they became engaged on the campgrounds more than two decades ago. - PHOTOS: Have you been snapped at the Muster? Gympie Mayor Mick Curran, Prostate Cancer Foundation of Australia representative Nicole Bowman and long-term volunteer Charlie Horne also spoke, thanking the Muster team and the festival's sponsors for another hugely successful year. The PCFA was the Muster's charity partner this year, drawing a sellout crowd at the Muster Club for the Biggest Ever Bloke's Lunch. Check out 18 of our best snaps from Saturday afternoon's event, and hundreds more from Day 1 and Day 2.